Are you planning a beach wedding? Here are few tips to consider when planning a beach wedding. With its historic past and scenic splendor, it’s no wonder many consider the Outer Banks the go-to destination among places to get married. One can strive for the perfect beach wedding venue on the Outer Banks, the picture-perfect small wedding, the most romantic wedding ceremony and the most delightful reception. 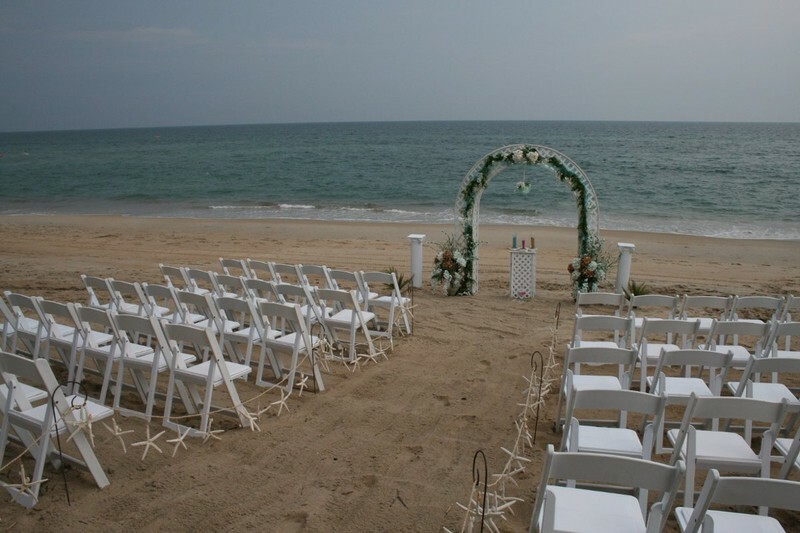 For all of its beauty and grandeur the Outer Banks can bring its own particular bag of tricks to any wedding ceremony. It is worth your time to consider the weather, the wind, and the wildlife of the Outer Banks. Few things are as constant as the Outer Banks wind. That is why the Wright brothers tested their flying machine on these sandy shores over 100 years ago. Pictures do little to translate how constant, and unexpected, that wind can be. Decorate lightly, anchor securely, and let the wind be your guide. It’s important to consider the wildlife of the Outer Banks, in all of its forms and glory. I recall one wedding where the bride and groom were silhouetted against the ocean, the breeze was light and friendly, the sun warm and comforting, and all the world was a picture perfect scene, a moment to remember. Consider the season and Sea Ranch Resort location for your wedding venue, and keep an eye on local events. If planned correctly, an Outer Banks wedding can be a moment you cherish for the rest of your lives. But, plan for the Outer Banks weather as well. The weather, the wind, and the wildlife will very much be a part of your Outer Banks experience. 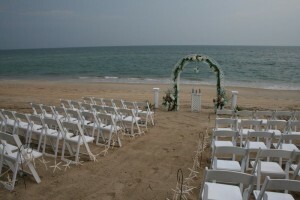 The staff at Sea Ranch Resort has years of experience with planing beach weddings. We know how to avoid the issues mentioned on this article. Check out our Wedding page and packages for more details.